Shahram is the Founder and General Partner of Civilization Ventures, a fund focused on supporting cutting-edge innovations in synthetic biology and health tech, including genomics, diagnostics, AI and regenerative medicine. Founded in 2017, Civilization VC has already been recognized by SVB as one of the most active funds in diagnostics. The fund’s disruptive seed portfolio includes CatalogDNA and Evonetix, as well as gene therapy leader Rocket Pharma (NASDAQ: RCKT). Prior to starting Civilization VC, Shahram was a founding executive in several life sciences companies, including Rgenix, a biotech company with first-in-class cancer drugs now in clinical trials, and NextBio, a big data genomics pioneer which he helped grow to over 50 people with millions in sales before it was acquired by Illumina. As an angel investor earlier in his career, Shahram provided the first check into Omada Health and was a seed investor in Counsyl (acq. by Myriad), Bina (acq. by Roche) and Avantome (acq. by Illumina). 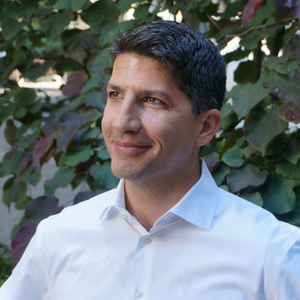 Shahram obtained his JD from Harvard Law School, where he was elected Editor-in-Chief of the Harvard International Law Journal, and has a BA in Economics from Pomona College.